Comments - Fantastic depiction of the Mongol attempt to invade Japan in the thirteenth century. Two major military invasions by the Mongols were defeated in part through huge typhoons, which caused the attackers to lose troops and supplies. 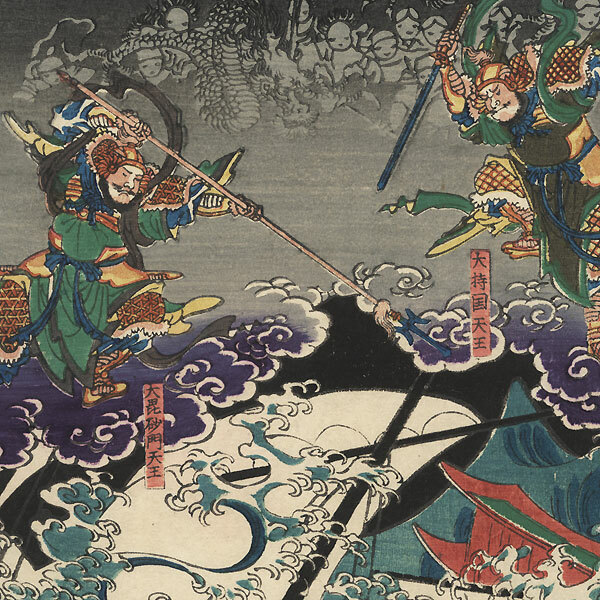 In this scene, the Japanese are assisted through divine intervention, with deities appearing in the stormy sky, attacking the enemy's ship with swords and spears. 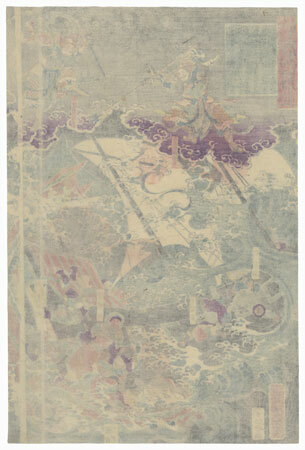 A dragon and ghostly troops above behind the deities as the Mongol ship capsizes, sending men tumbling overboard as the ship is engulfed by gigantic white-capped waves. 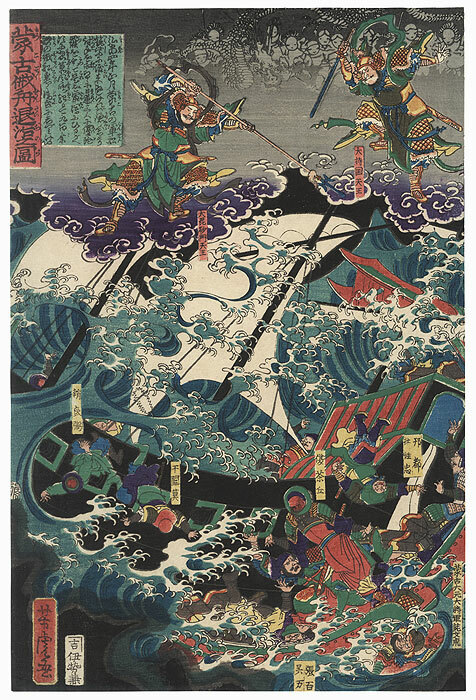 This event is one of the first known uses of the word "kamikaze" (divine wind), to characterize the storms which aided the Japanese victories. An incredible image full of energy and action. Image Size - 13 1/2" x 9"
Condition - This print with excellent color and detail as shown. Backed with paper. Very slight soiling. Please see photos for details. Good overall.